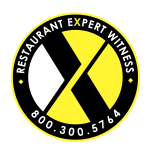 Restaurant Expert Witness provides services Nationwide. We have done projects in nearly every state in the country. Alabama, Arkansas, Florida, Georgia, Kentucky, Louisiana, Mississippi, North Carolina, South Carolina, Tennessee, Virginia, and West Virginia; in ALL cities, including, but not limited to: Jacksonville, Charlotte, Memphis, Nashville, Louisville, Atlanta, Virginia Beach, Miami, Raleigh, and Tampa. Connecticut, Delaware, Maine, Maryland, Massachusetts, New Hampshire, Rhode Island, Vermont, New Jersey, New York, and Pennsylvania; in ALL cities, including, but not limited to: New York City, Philadelphia, Boston, Pittsburgh, Providence, Hartford, Buffalo, and Rochester. Illinois, Indiana, Iowa, Kansas, Michigan, Minnesota, Missouri, Nebraska, North Dakota, South Dakota, Ohio, and Wisconsin; in ALL cities, including, but not limited to: Chicago, Detroit, Indianapolis, Columbus, Milwaukee, Kansas City, Omaha, Cleveland, Minneapolis, and St. Louis. Arizona, Colorado, California, Nevada, New Mexico, Oklahoma, Texas, and Utah; in ALL cities, including, but not limited to: Phoenix, Denver, Las Vegas, Tucson, Albuquerque, Colorado Springs, Reno, and Salt Lake City. Oregon, Washington, Idaho, Montana, Wyoming, and Alaska; in ALL cities, including, but not limited to: Seattle, Portland, Spokane, Boise, Tacoma, Vancouver, Eugene, Salem, Bellevue, and Everett. If you’re looking for Restaurant, Bar or Hospitality industry expert witness services, please call: 800.300.5764 or Email us.